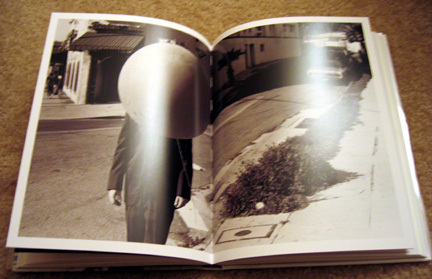 1) author q&a and book signing at book soup in los angeles – nov. 30th at 7pm - http://www.booksoup.com/author-events.asp?offset=20. - january 3rd, 7-10pm (opening night reception with autumn de wilde). - photos will be on exhibit the month of january. "regarding release date - i had hoped to release the album in november, because it is for charity and that seems to be the time when people are feeling generous, buying people gifts, plus it's cold outside... but unfortunately the nature of this independent effort has me doing everything from writing, to recording, to the legal, to the artwork, to the website... ie everything(! ), so its taking a little longer than i had initially hoped. shouldn't be too far off though, still hoping for the end of the year or early (jan/feb) of 2008. hope you understand." 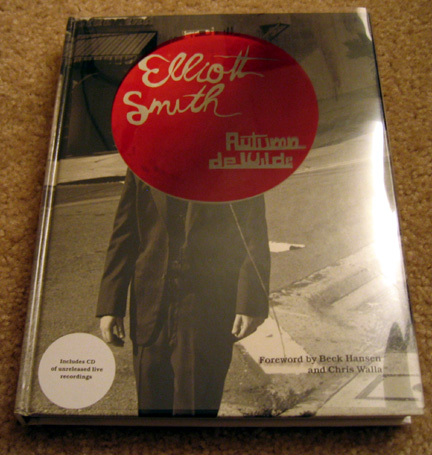 elliott smith by autumn de wilde in stores now! 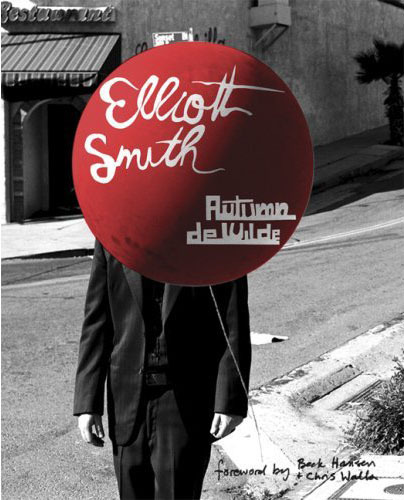 thanks to everyone who has been posting around the internet about finding autumn de wilde's new photo book, 'elliott smith' at their local stores. thank you for picking up a copy (or a few) because not only is it an awesome book, but a portion of the proceeds will go to the sims foundation in austin and outside in up in portland. so please check out your local bookstore to see if it's in stock and if not, please ask them to order one (or a few...x-mas is coming up). i know a good number of fans have ordered from amazon.com and other online outlets and gotten some delay notices, but i've also heard that some orders are shipping so please be patient! it really is worth the wait! i was lucky enough to get a copy myself and i can't tell you enough how beautiful the book is. the photos are amazing and it was really easy to either get choked up about it (in a good way) or laugh out loud. 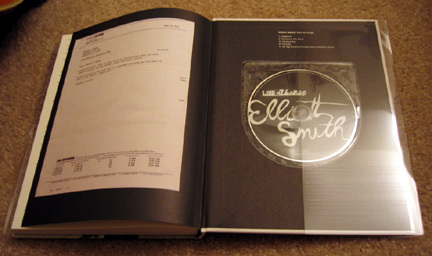 the book really honors the beauty that is elliott through the photos of himself, the interviews of some of elliott's closest loved ones, friends and fans, the 5 song cd of one of his largo performances and the other photographs that make up the book. 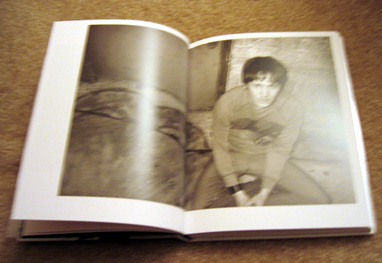 there is no denying that everyone involved put a lot of love into the book and it really shows. 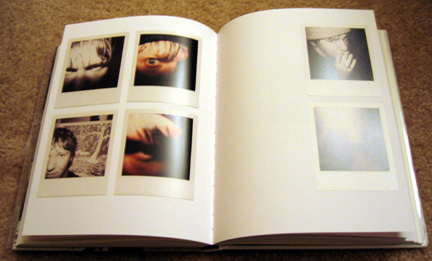 i really love beck's and chris walla's introduction to the book because it really gives us insight in what autumn's approach to the amazing photographs she has taken over the years. chris walla talks about how autumn develops a relationship and through that i see the patience and comfort autumn took with elliott to help bring out elliott's natural comfort, beauty and humor. the photos of elliott comes from elliott's time in new york (pre-xo) to the figure 8 tour era and the photos are so beautiful to look at. 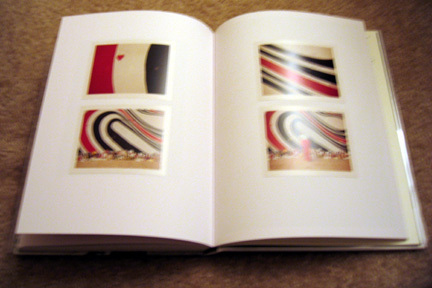 the prints of the photos are so nice whether they are in black and white or in color. the interviews gives us insight to some really personal stories about elliott from some loved ones that have been private until now. it's hard to talk about because there are so many stories and feelings in these interviews that help give us a better understanding about elliott, what they experienced in being a part of it all in a personal, professional and fan sense. you really appreciate what they give. 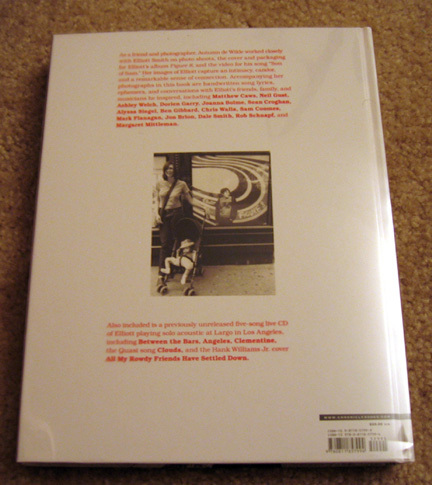 here are some pictures of the book (click on them for a bigger version) i took to give you an idea of what it looks like without spoiling anything. i hope it helps and encourages you to get it! if you are interested in getting it, please support your local bookstore! 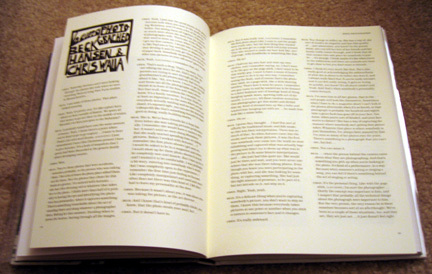 but if you would like to order it online, you can order it from chronicle books or amazon.com!